Widespread habitat degradation and deforestation has now led to Madagascar’s unique wildlife being confined to small fragments of their former range. Saving those fragments is important, but – bearing in mind their small size and isolation – by no means sufficient. 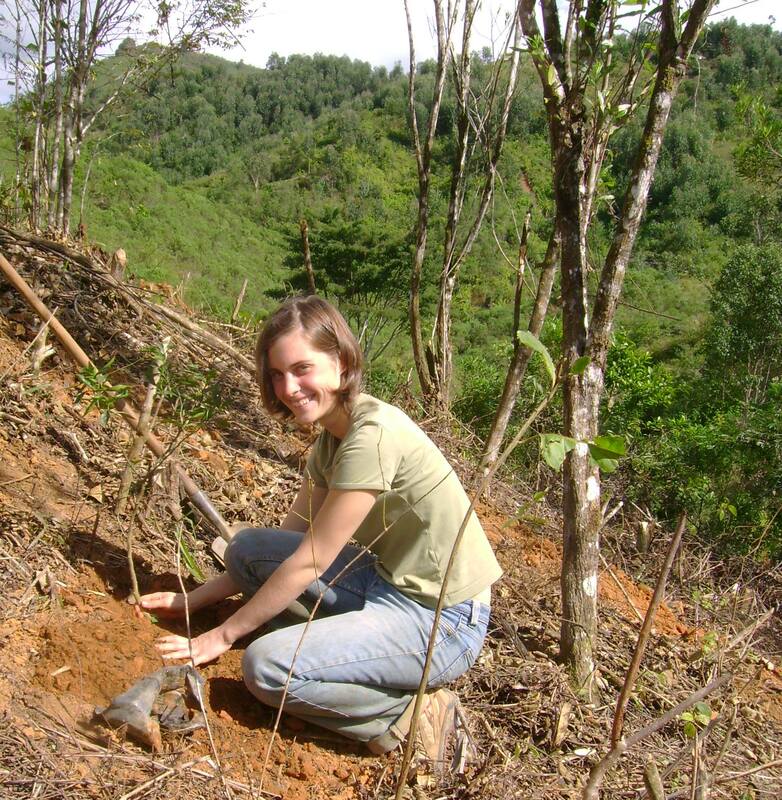 Mitsinjo has therefore embraced reforestation and rainforest restoration since our early days of existence. Small rainforest fragments have been linked up by the planting of corridors, which will allow the movement and genetic exchange of animal populations between them. Maintaining up to three tree nurseries at a time, Mitsinjo produces an annual average of 30,000 seedlings of up to 100 endemic species of rainforest trees per nursery. Our nurseries are among the most species-rich in the whole of Madagascar. Thanks to Youssouf, our technician with the proverbial green thumb, germination rates are reassuring and the inoculation of our seedlings with mycorrhizae has led to encouraging survival rates after plantation. 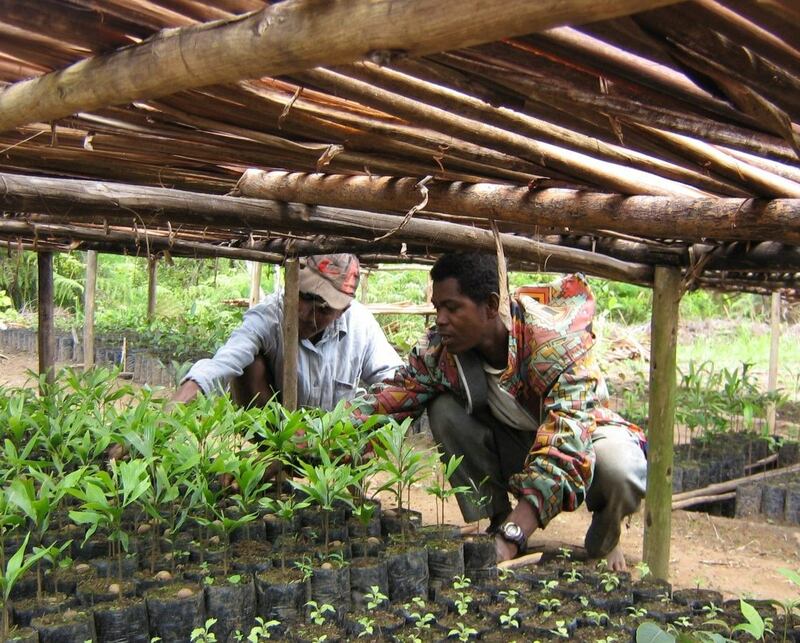 Mitsinjo’s expertise in seedling production, nursery management and reforestation has been sought after by various organisations working in other parts of Madagascar, such as the Missouri Botanical Garden, Madagascar Fauna Group, Fanamby or Jariala. When focusing on restoring rainforest and linking fragments, Mitsinjo selects its tree species according to various criteria. One of them is their preference by seed dispersers such as birds, fruit bats or lemurs. When attracted by the fruit of planted trees, they will bring the seeds of more species in their faeces and thus help the forest coming back. Employing up to a 100 people during plantation campaigns, Mitsinjo is not only a major job provider, but also helps improving livelihoods. Forest restoration directly leads to increased retention of water and reduced soil erosion, both vital for better agricultural performance. Accompanying activities include the promotion of agroforestry and mixed plantations where native forest trees and crops can mutually thrive. Together with its partner organisations, Mitsinjo has planted more than one million rainforest trees, but is now bereft of reaping the financial benefits. This is especially hard for the local population, who had put their hopes into direct income from carbon credits. As these developments risk to compromise both human livelihoods and conservation success already achieved, Mitsinjo now increasingly targets the voluntary carbon market to compensate financial loss. The Manondroala project, our collaboration with the Finnish Association of Nature Conservation in 2012-2017, has helped understand forest dynamics and capitalize on the achievements of our previous reforestation campaign under the project “Tetik’asa Mampody Savoka” (TAMS). Before starting the TAMS project, Mitsinjo had a big role in teaching many people and and organisations about forest restoration. We also offer our visitors to contribute to offsetting their carbon footprint through the plantation of a tree from one of our nurseries.You might contribute financially or take a tour with our staff and plant the tree with your own hands.